This new Fortnite Selfie emote concept would take trolling to a whole new level. There is are close to 200 different Fortnite emotes in the game. What started as an amazing feature is now a staple feature of Fortnite’s success. As the game evolves, one thing remains certain, players never get tired of new emotes. Reddit user Nathan33988 has come up with an Emote concept that would take trolling to the next level. The concept suggestion is based around taking a selfie. The character would be seen pulling out a selfie stick, holding up a peace sign, while camera flashes and sounds go off. The best part of the Selfie emote idea is on how it could be used. Using the emote to take a selfie near a downed opponent, before finishing them would be epic. Although many current emotes are used for trolling, the selfie emote would guarantee to rage an opponent. Some suggestions would be different facial and hand expressions for each picture taken. As of right now, there is only one other emote that uses a cellphone. The Busy emote, I’ll be with you in just a moment, was released on November 5th 2018, having 3 additional item shop occurrences since. The Busy emote is sort of funny if used in proper situation but would not compare to the popularity a Selfie stick emote could get. 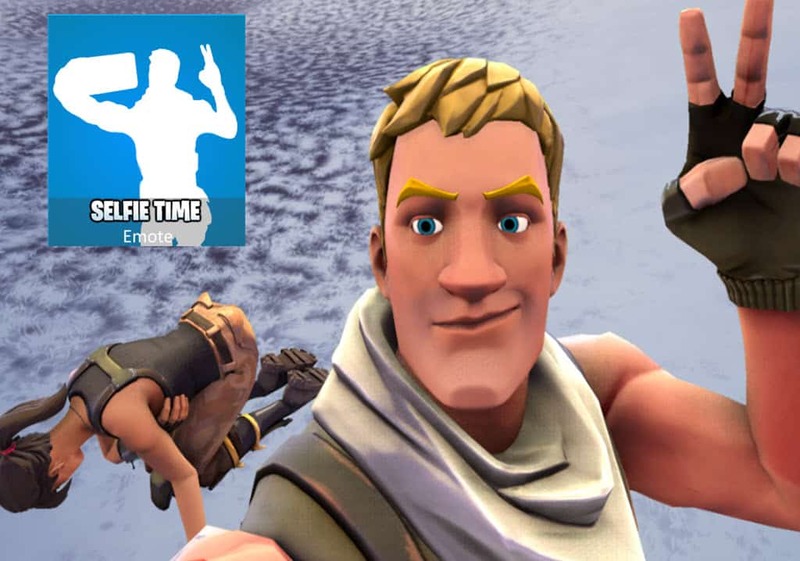 Can the Selfie Emote be added to Fortnite? The short answer is yes as Epic developers frequent reddit while lurking content. It would not be the first time a fan suggestion or celebrity emote are added to the game. Many high profile celebrities have been pursuing Epic stating their emotes were ripped off and put into Fortnite without their consent. A selfie emote would not have any of these problems, as a little thank you to Natan33988 for his great idea is probably all it takes. Let’s hope Epic sees the concept and adds to to the game.